Why I picked it up: I picked up a copy of P.S. Be Eleven, realized it was a sequel to this book, and thought it would be prudent to read Summer before Eleven. Why I finished it: This is a really wonderful piece of historical fiction that explores the Civil Rights movement of the 1960s through the eyes of children. So many accounts have been written from an adult point of view that it’s hard to remember that there were children that were also part of the movement and bore witness to an important part of American history. Delphine is a very mature eleven-year-old, taking care of her sisters and looking out for them, wary about the necessity of visiting her mother. The girls quickly find themselves out of their element and begin to realize just how sheltered their life is in Brooklyn. But even if their mother keeps them at arm’s length, the girls find friendship among the other attendees of the Black Panther day camp. Delphine is a likable narrator and the reader is instantly drawn into her world. We identify with her struggle to keep track of her sisters, her desire to be close to her mother, her confusion at how she fits in with the Black Panthers. In many ways, she is much older than her eleven years, something that comes out more and more as the story progresses. 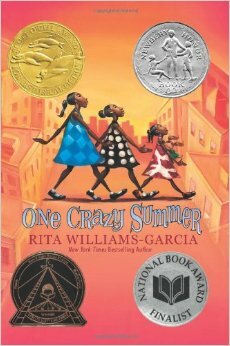 Garcia-Williams has written a moving story about how we relate to our family and how we relate ourselves to current events. It encourages us to take our own actions and consider what we can contribute to the world, whether it be through words or through actions. Synopsis: Eleven-year-old Elijah Freeman lives in the settlement of Buxton, Canada, a community populated by freed slaves near the American border. He has the distinction of being the first child in the town to have been born free, but he’s also seen as ‘fra-gile’ and talkative. When a former slave steals money meant to free a friend’s family from slavery, Elijah must follow the thief into the South and bring him to justice. Will he be able to overcome his ‘fra-gile’ nature and make the dangerous journey home? Why I picked it up: Since it’s Black History Month, I wanted to highlight some of the Coretta Scott King award winners. Why I finished it: Seeing the world through Elijah’s eyes gives the reader a greater understanding of the support the newly freed slaves depended on from each other in order to make better lives. We recognize the hope that children like Elijah represented to these communities and the promise of a future that did not include servitude. As a narrator, we don’t fault Elijah for being ‘fra-gile’ – honestly, I’m pretty darn afraid of snakes myself – because we know that he is trying hard to be an adult. Or at least, more grown up and braver than most people believe. His desire to do the right thing to help his friends and the way he decides to use his talents to help his neighbors is admirable. It’s hard not to admire his courage and his determination as he undertakes his journey. Curtis has created a wonderful snapshot of life for freed slaves in the period during and just after the American Civil War. They needed to find ways to work together in their new lives and support each other, even though there was still somewhat of a danger of being captured and taken back into captive slavery. Buxton, as Curtis points out in his author’s note, is a real place. Although portions of the accounting of the town are fictionalized, the way the settlement functioned and the notion of being self-supporting are all true facts. The town is in fact a lovely piece of history that is worth exploring. This is an enchanting story that inspires the reader to learn more about freed slave communities and makes us remember the hope offered to us by future generations, how our actions now will ensure that they have lives more fulfilling than our own. Synopsis: It’s hard to move to a new home, especially when your neighbors are some of the most notorious murderers, con men, burglars, kidnappers, embezzlers, rapists, and hit men. Sure, there are other kids there whose dads work as guards, cooks, electricians, and doctors, like your dad. But there’s not really much good that comes from moving the Alcatraz; I mean, you’re only supposed to go to Alcatraz when no other prison wants you, right? So how did I end up here even though I’m not a criminal? My mother told me I had to. Why I picked it up: It was a Battle of the Books selection for this year and the idea of living on Alcatraz is rather intriguing to me. Why I finished it: While the title in and of itself is intriguing, it was the historical element of the story that kept me turning the pages. Though Moose Flanagan and his sister Natalie are fictional characters, there were families like theirs that lived on Alcatraz during the years that the penitentiary was operational from 1934-1963. 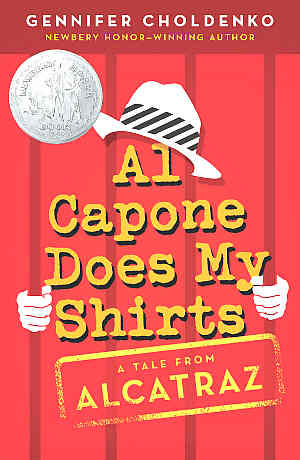 And yes, there was a laundry service that was run by cons, so there is a distinct possibility that Al Capone did wash the shirts of the Alcatraz residents. Moose is a likable young man and Choldenko seems to have an eye into his mind as he struggles with the move, school, and his autistic sister. As much as Moose tries to be normal, he has to come to terms with the fact that very little about his life is normal. The other children – Theresa, Annie, Jimmy, and Piper – almost make the ‘glamour’ of living with convicts while the country is in the midst of a depression seem ordinary. It’s a sweet and passionate picture of a boy and his family struggling both in their personal lives and their public lives that speaks to the power of love and the little everyday miracles that make even the most disastrous situations seem okay. 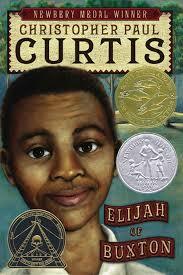 Why I picked it up: It caught my eye while I was looking for Newbery winners. 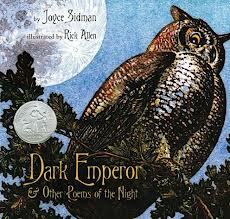 Why I finished it: Sidman is a gifted and prolific poet that has written on a number of different subjects in nature and this book is a wonderful example of poetry telling a story. This particular story begins with the setting of the sun and tells the reader about the vibrant nightlife of a forest through poetry, prose, and paintings by Rick Allen. Each poem gives each animal, insect, and tree in the forest its own voice, its own chance to tell the reader more about the vibrant activities in which they engage while we are asleep. The double-page spread with biology facts add an educational element to the poetry and help to showcase Allen’s dense, dark, forested art. Whimsical and informative, Dark Emperor engages the reader and guides them through the dark of the night and into the glory of a new day. Synopsis: A council has been called to Caer Dallben in order to discuss a plan of action to destroy the evil Arawn’s prized Black Caludron, which is producing more and more dark warriors with each passing day. The warriors chosen for the task however, will have to contend with more than just the evil forces of the Lord of the Land of Death, but also with their own demons that will determine their individual fates and the success of their journey. Why I picked it up: I finished the first one and was eager to see how the story continued. 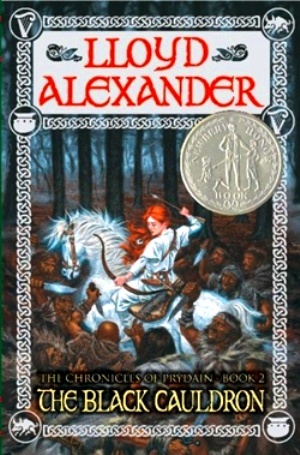 Why I finished it: As I had hoped, Alexander reveals much more about the world of Prydain in the second book that helps to shape the world a little more and adds to the rich history and traditions. This time, we divide our attention between the traditions of war and those of the transition from childhood to adulthood. Taran and Eilonwy are being shown the world of men and the sort of burdens that come along with growing up, though I have to admit that I don’t believe Eilonwy will ever outgrow her outspoken-ness. The companions from the first book are joined by a bard named Adaon and a disgraced prince named Ellidyr, both of whom will struggle with what it means to complete the task given to them and the fates given to them as the journey to keep evil at bay continues. The story is much darker at this stage of the journey in accordance with the growing threat from the Land of the Dead, but the darker tone provides for some wonderful character development and provides a better picture for the reader of what exactly is at stake should darkness overtake the land. 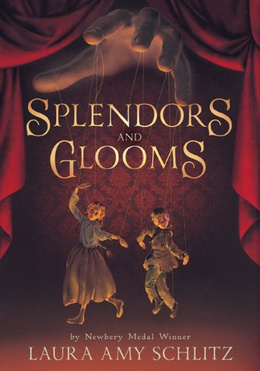 Synopsis: Clara Wintermute, the only child of a wealthy doctor, would love nothing more than to have puppet master Gaspare Grisini come to perform at her birthday party. Lizzie Rose and Parsefall, two orphans apprenticed to Grisini, live in fear of the puppeteer and aspire to do something more with their lives. When Clara mysteriously disappears after her party and Grisini is blamed, Lizzie Rose and Parsefall become involved in a much larger mystery that will uncover a dark secret and ultimately lead them to the key that will help them in finding Clara. Why I picked it up: It popped up on Amazon while I was researching books to read and the title caught my attention. Why I finished it: The book draws on the Victorian Gothic tradition to create a tale that is both dark and comic. Schlitz’s plot unfolds slowly, first establishing Clara and then moving gradually from Lizzie Rose to Parsefall to the puppet master Grisini. The mystery portion of the plot is equally tantalizing, keeping the reader guessing and putting together all of the pieces of the puzzle along with the characters. Lizzie Rose, Parsefall, and Clara are engaging as individuals, but some of the best portions of the story deal with the three of them as a whole. Their personalities complement each other and balance out the ‘good’ equation, with Grisini being decidedly evil and underhanded. I was also drawn in by the historical elements of the story; as overused as I feel the Victorian Era might be in literature, it makes for a perfect setting for Schlitz’s tale of magic, mystery, and finding hope in the face of adversity.